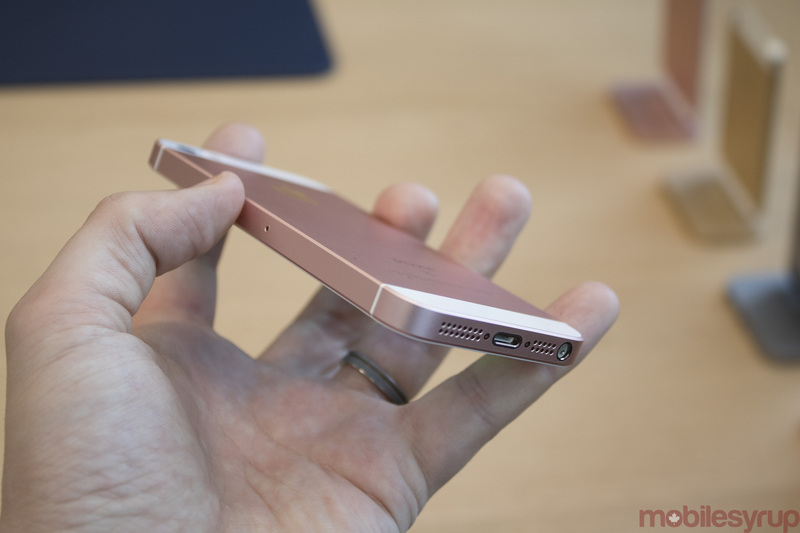 It looks like the recent iPhone SE rumours were almost completely accurate. At its Cupertino, California-based central campus today, Apple finally revealed a product industry observers have predicted the company has been preparing to release for years: a 4.0 inch smartphone called the iPhone SE. 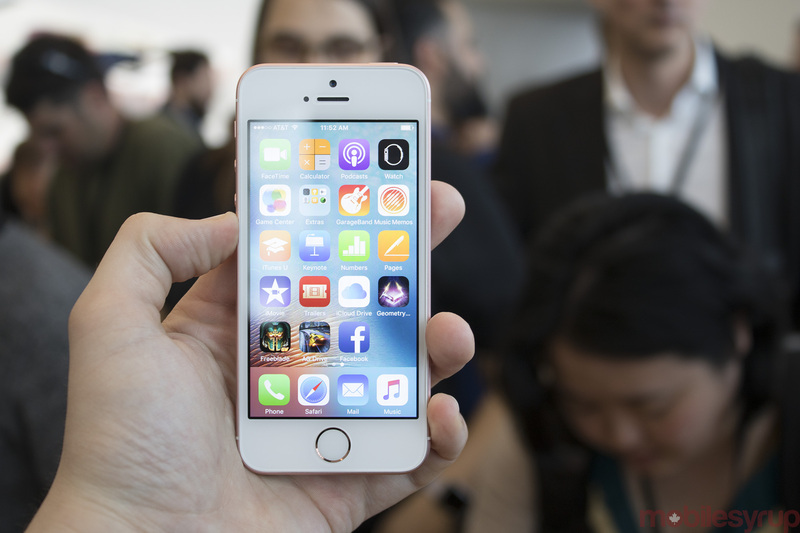 The handset takes the powerful processor from the iPhone 6s and crams it into a 4-inch form factor. Visually, the phone is almost indistinguishable from the iPhone 5, which has been discontinued with the launch of the SE. It features the same 1136 x 640 pixel display, as well as a nearly identical bezel and rectangular form factor, though the SE’s edges seem slightly more curved when compared to the 5s. The most surprising thing about the iPhone SE is Apple hasn’t skimped on the smartphone when it comes to technical specifications like it did with the budget-focused 5c; it’s clear the SE is a premium smartphone, designed to perform the same as the 6s. It’s worth noting, however, that the smartphone does not feature the pressure sensitive 3D Touch-enabled display included in Apple’s other, larger smartphones. Continuing with the 6s to SE comparison, Apple’s new phone features the same 12 megapixel 4K-capable shooter you’d find on the 6S, however, the camera bump many smartphone users often complain about is completely absent. While I was not able to test the camera for an extended period of time, the SE’s camera app launches at roughly the same speed as the iPhone 6s, and seems to snap excellent photographs. The same can be said about the phone’s overall performance thanks to the speedy A9 processor, the same silicon featured in the iPhone 6s. While my time with the smartphone was short, high-end, graphically intensive games, performed smoothly, both in terms of load times and actual gameplay. The M9 chip has also made its way to the SE, allowing users to say “Hey Siri” to activate Apple’s personal assistant, a feature that doesn’t appeal to me, but has proven popular with some users. Continuing with the SE’s aesthetics, if you’ve held the iPhone 5 or 5s, you’ll be familiar with the design of Apple’s latest device. However, I do feel like specific aspects of the SE’s overall aesthetic haven’t aged well, especially when compared to the sleek looking iPhone 6 or 6s, particularly when it comes to the phone’s glass back and angular design. During my brief hands-on time with the smartphone, my initial reaction was the SE feels incredibly small, so much so that my fingers felt cramped when typing with it. I’m on the “phablet” bandwagon and prefer larger devices, but there definitely is an audience out there that feels alienated by Apple’s last two larger smartphones. For some, a 4-inch devices is perfect and until now, iOS users looking for a modern device, with the latest technical specs, have had no alternatives. One other benefit worth noting is I instantly felt comfortable using the smartphone in just one hand, which is something I wasn’t able to say about the 6 or 6s. In the end, it’s clear that the SE is designed specifically for a very specific Apple user – one that misses the 4-inch form factor of older Apple smartphones. It’s unlikely, however, that the phone will convince Android users fond of smaller form factors to jump to Apple’s operating system given its relatively hefty price tag. We’ll have a full review of the iPhone SE in the coming weeks. This story will also be updated with video hands-on impressions shortly. 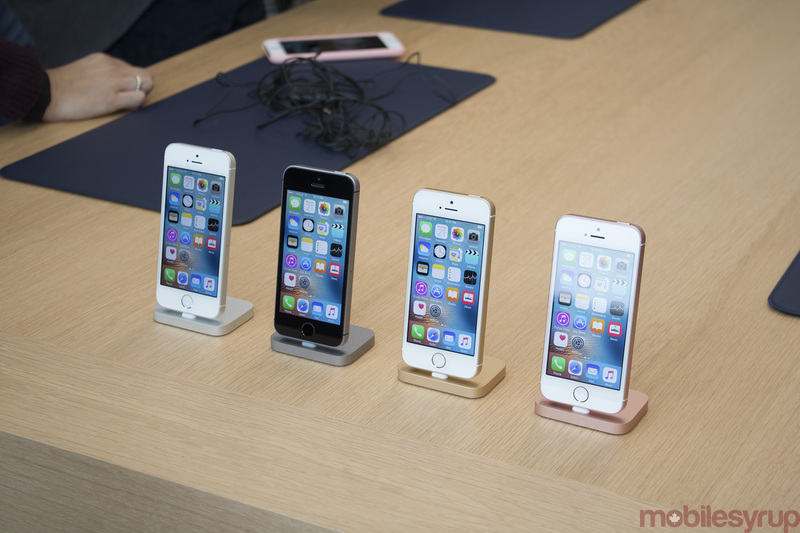 The iPhone SE is up for pre-order in Canada starting March 25th and available for sale on March 31st. 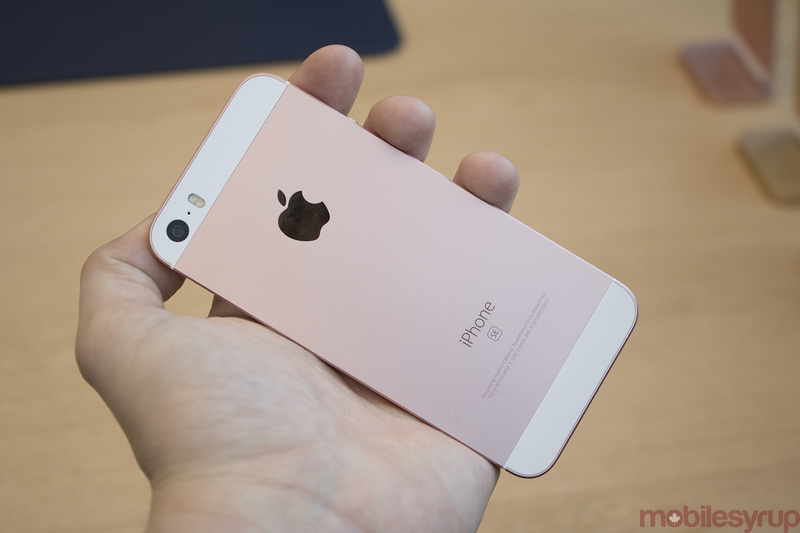 The pricing is as follows: 16GB: $579 (CAD) unlocked and 64GB: $709 (CAD) unlocked. 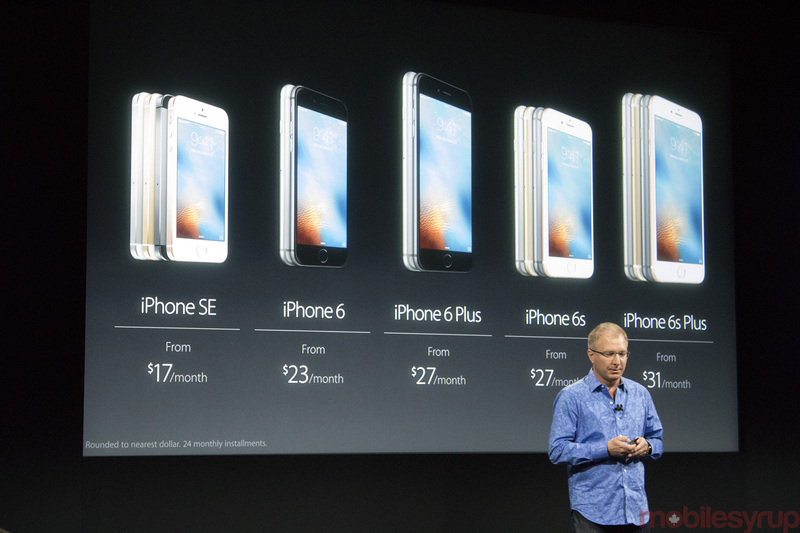 The iPhone SE comes in four colours that match iPhone 6s’ variants: Silver, Gold, Space Grey, and new for the SE, Rose Gold.